During his Russian period, Mannerheims friends were mainly to be found in the St Petersburg and later in the Polish societies. He also had many relatives, both in Finland and in Sweden, that he would consider his friends. During the time of independence, a number of officers belonging to his 1918 headquarters also belonged to his closets circle of friends. 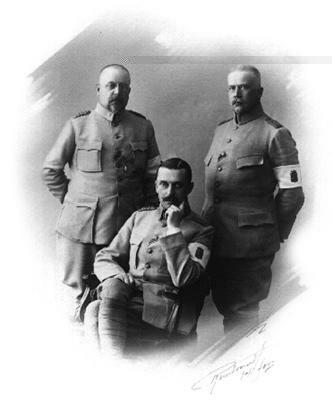 Of these it was Hannes Ignatius who most actively urged Mannerheim for various leading posts. In the 1930s and 1940s Rudolf Walden was perhaps one of Mannerheims closest friends. Generally speaking, it was his age that isolated him from the younger staff, and his permanent circle of friends mainly consisted of older generals. Mannerheim was an admirer of female beauty. He liked to accompany attractive ladies to the theatre, concerts and dinners. A great many beautiful ladies were connected with his name in the course of the years. In his youth, he was very fond of Constance Maria Hisinger, who later married Ludvig Jägerskiöld. While in St Petersburg, a few aristocratic ladies were said to belong to his circle of friends, often on vague grounds. Princess Maria Lubomirska has been named his closest friend during his stay in Poland. After his visit to Norway in autumn 1918, he began an exchange of letters with Catharina (Kitty) Linder, who was born in Kytäjä estate in Finland. On his European tours Mannerheim made the acquaintance of a few aristocratic ladies. Countess Jeanne de Salvert accompanied him on his trip to Algiers, and a French lady, Virginie Hèriot, sailed with him to Hanko to visit a Lotta camp of Tuusula in his company. In Helsinki, there was a lot of gossip about the ladies who were seen in the company of Mannerheim, some of whom were Hanna Granfelt, an opera singer, and Gertrud Wichman, who was in the service of the Red Cross. In 1946 Mannerheim met Countess Gertrud Arco-Valley in Stockholm. She was the sister of Jacob and Marcus Wallenberg, who were well-known bankers in Sweden, and had been married to an Austrian count. Mannerheim found her charming and enjoyed her company. 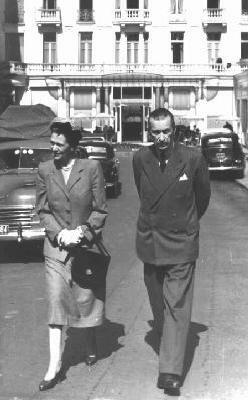 The Countess met Mannerheim in Monte Carlo, France and Switzerland and spent holidays with him. She also visited Kirkniemi.